Nick Zepke. 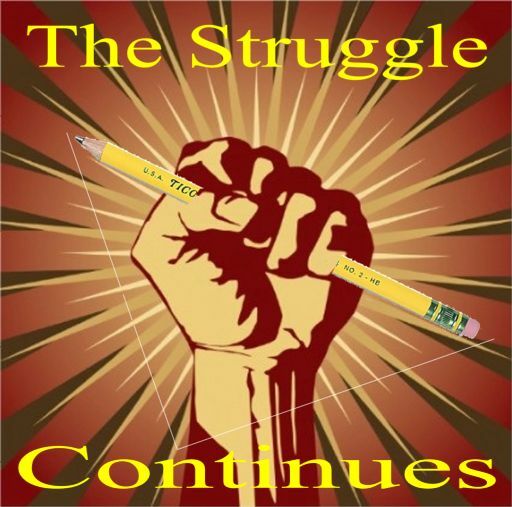 What of the Future for Academic Freedom in Higher Education in Aotearoa NewZealand? Rino Wiseman Adhikary. The World Bank’s Shift away from Neoliberal Ideology: real or rhetoric? For all editorial matters, including articles offered for publication, please contact the Editor, Professor Michael A. Peters (mpeters@waikato.ac.nz). Note: These articles can be accessed without subscription, as they were published more than 3 years ago. The new Central Saint Martins campus at Kings Cross will host the renowned philosopher Slavoj Žižek in conversation with Jonathan Derbyshire, the culture editor of the New Statesman. From Hegel to the Occupy movement, expect an interesting thought-provoking discussion followed by audience Q and A. For the last two centuries, Western philosophy has developed in the shadow of HEGEL, whose influence each new thinker tries in vain to escape: whether in the name of the pre-rational Will, the social process of production, or the contingency of individual existence. 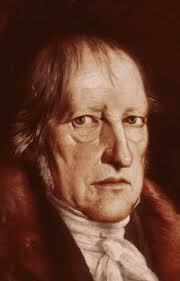 Hegel’s absolute idealism has become the bogeyman of philosophy, obscuring the fact that he is the dominant philosopher of the epochal historical transition to modernity; a period with which our own time shares startling similarities. Today, as global capitalism comes apart at the seams, we are entering a new transition. In LESS THAN NOTHING, the pinnacle publication of a distinguished career, Slavoj Žižek argues that it is imperative that we not simply return to Hegel but that we repeat and exceed his triumphs, overcoming his limitations by being even more Hegelian than the master himself. Such an approach not only enables Žižek to diagnose our present condition, but also to engage in a critical dialogue with the key strands of contemporary thought-HEIDEGGER, BADIOU, speculative realism, quantum physics and cognitive sciences. Modernity will begin and end with Hegel. Slovenia. His other books from Verso include LIVING IN THE END TIMES, FIRST AS TRAGEDY, THEN AS FARCE, IN DEFENSE OF LOST CAUSES, THE SUBLIME OBJECT OF IDEOLOGY, THE FRAGILE ABSOLUTE: OR, WHY IS THE CHRISTIAN LEGACY WORTH FIGHTING FOR, THE TICKLISH SUBJECT, THE PLAGUES OF FANTASIES, FOR THEY KNOW NOT WHAT THEY DO, THE INDIVISIBLE REMAINDER, WELCOME TO THE DESERT OF THE REAL,IRAQ: THE BORROWED KETTLE, and DID SOMEBODY SAY TOTALITARIANISM? 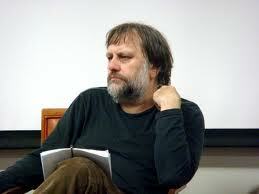 He has also appeared in the films ŽIŽEK!, EXAMINED LIFE and The Pervert’s Guide to Cinema. Damien Hirst: The Capitalist Sublime? 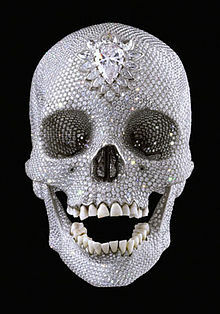 Damien Hirst is perhaps the absolute epitome of the capitalist artist. He is also a figure – in the bare objective terms of his economic and institutional success – who demands close attention as a cultural phenomenon: not, perhaps, an exemplary artist for our era, but certainly a deeply symptomatic and significant one. He is also a cultural producer who, whatever we may feel about his ethos, at his rare best has provided us with some of the art world’s most memorable, iconic images of recent decades. To better understand the Hirst phenomenon, this paper makes an analysis of his place within a long line of cultural producers who have been involved with the commercialised and commodified instantiations of art oriented to the sublime, a lineage stretching back to the modern (re-)discovery of this aesthetic in the late seventeenth and early eighteenth centuries. It proposes that the sublime has been an aesthetic profoundly implicated in the rise of capital, and is intimately intertwined, in particular, with the highly liquid, ‘imperialist’ forms if this that characterise both the contemporary Neoliberal scene (of which Hirst might be imagined to be the court painter) and that of the eighteenth century alike. This paper seeks to define a Hirstean or capitalist sublime in which the fantasies of the modern, capitalist subject and its structuring experiences in the social and economic are reflected, formed and negotiated. 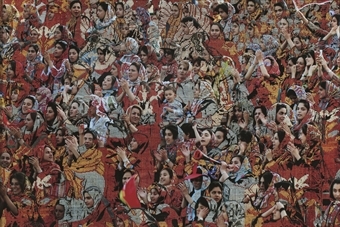 Luke White is Lecturer in Visual Culture and History of Art and Design at Middlesex University. His PhD was entitled ‘Damien Hirst and the Legacy of the Sublime in Contemporary Art and Culture’, and with Claire Pajaczkowska he was the editor of The Sublime Now (Cambridge Scholars Publishing, 2009). The MA in Dialogue Studies is designed for graduates who wish to examine and understand theories of dialogue and their applications in peace-building and in developing intercultural understanding and social cohesion. While definitions of “dialogue” will be explored in the course of the year, it might be loosely defined here as “a range of activities, including but not confined to discussion, through which people of different social, cultural and religious groups deliberately come together for meaningful and constructive interaction.” The MA course explores the theory and practice of dialogue through a unique combination of taught subjects, research, skills-based training and a London-based internship. The course fills a gap in postgraduate education provision by not only exploring the use of dialogue in conflict and post-conflict situations but also examining its use in combating discrimination, ghettoisation and extremism in countries such as the UK. The main core module accordingly both introduces dialogue for peace-building and explores theUK context for dialogue, drawing on the fields of sociology and history as well as politics. The degree has a practical outlook and will equip students with knowledge, understanding and skills to effectively engage in and lead dialogue to advance intercultural interaction and understanding and social cohesion. It includes a work placement during which students will gain professional experience with the Dialogue Society. Practical elements will be supported by rigorous, reflective examination of the approaches of governmental and nongovernmental agencies to dialogue, social cohesion and reconciliation. The course’s broad scope and interdisciplinary nature will encourage students to bring broad perspectives to bear on any specific local issues with which they engage professionally. Students will be able to pursue their particular interests within the degree’s broad remit through a wide choice of elective taught modules and through their dissertation. It will accordingly be possible for each student to choose whether to devote more attention to domestic or to international contexts for dialogue and whether to focus on its applications in peacebuilding or in the promotion of social cohesion. The course aims to provide students with the conceptual and analytical skills and the factual knowledge to develop a critical understanding of theoretical and practical approaches to dialogue, peace-building and community cohesion. This understanding will be supported by understanding of key contexts for dialogue, in theUK and in selected conflict situations. The course also aims to equip students with practical skills to engage in and lead intercultural dialogue, chiefly through the professional experience and training provided through the Dialogue Society placement. Further, the course will prepare students for research and support them in producing a dissertation on their chosen topic. The Dialogue Studies Masters is aimed at people who wish to pursue careers in a whole range of sectors. It is relevant to those wishing to gain employment in the civil or government service at the sub-national, national or global level, or to those looking to work with sub-national, national or international NGOs. The course will also be a good preparation for further postgraduate study and is ideally suited to those interested in pursuing study of the theory and practice of dialogue at PhD level and beyond. In addition, students will graduate with a range of transferable skills beneficial in any number of contexts. These skills will include at least: cultural sensitivity, empathy, teamwork and leadership skills, project management skills, research skills, public speaking skills, ability to lead and chair discussions, dialogue facilitation skills, critical thinking and problem solving skills. This module will place the practice of dialogue in the context of key concepts, debates and positions relating to multiculturalism, political community and citizenship in Britain and other national contexts. It will explore social, demographic and political issues in the recent (1945-present) history of immigration in Britain including public and political debates about diversity during this period. It will critically review British national state policies for the management of diversity since 1945, focusing on their ideological underpinnings (including multiculturalism, integration and cohesion). Current political and theoretical debates about multiculturalism will inform analysis of the limits and possibilities for dialogue. The module will focus primarily on the UK context for dialogue. However, select case studies from other national contexts (e.g. Yugoslavia, South Africa) will be drawn upon to critically explore opportunities for, and barriers to, conflict resolution and peace building. This module aims to provide a foundation in the philosophy of the social sciences and an examination of the core assumptions that underpin different approaches to knowledge generation. It also aims to provide an understanding of the politics and international relations of knowledge generation and circulation. In other words, it examines how social scientists have approached the questions of what to study, how to study, and the ways in which these issues are bound up with historical and current power structures in the world. The module will prepare students to engage critically and reflectively with the content of the MA course and to undertake the research involved in writing their dissertation. Students will be able to pursue their own interests related to theories, practices and contexts for dialogue in choosing from an eclectic range of elective modules. Elective modules will be chosen from a wide range of SPIRE modules. It may also be possible for students to take modules in Politics, Diplomatic Studies, Management, Sociology, Cultural Studies, Public Policy and History. The precise list of available modules may vary from year to year. NB not all these modules will be available every year and they will not always be compatible with Dialogue Studies students’ core commitments. Students may also choose to study a modern foreign language (other than English). • Helping London-based community centres to branch out and run dialogue projects to bring local communities together, with the support of Dialogue Society staff and resources. Students will work in small teams and will each have the opportunity to manage a small-scale dialogue project. 2011 projects included a seminar on knife crime for local residents, Mothers’ Day visits to local care homes with children who use the community centres, and an official opening celebration for one community centre. • Supporting ongoing Dialogue Society projects and events. • Attending weekly sessions at the Dialogue Society’s Dialogue School. This will enable students to further explore and discuss different approaches to dialogue as well as providing training in a number of key skills for organised dialogue. • Networking at external events. • Exploring the cultural, religious and political landscape of multicultural London through visits to relevant government departments, other dialogue NGOs, places of worship and areas of particular historical/cultural interest. The 2011 placement included visits to the Department for Communities and Local Government, the Home Office and the Foreign and Commonwealth Office, a historical tour of East London and visits to a Gurdwara, a Buddhist Centre and a Synagogue. • Keeping records of the placement and producing a reflective diary. • Students demonstrating an outstanding level of work will receive their degree with distinction. SPIRE offers a limited number of bursaries to postgraduate students. Details are available on SPIRE’s website. The Dialogue Society offers a limited number of bursaries for the Dialogue Studies MA postgraduate degree. 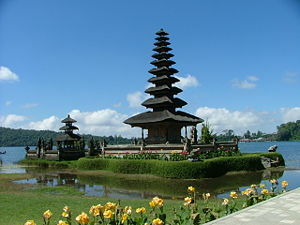 The bursary only covers the difference between overseas and home fee rate. Effectively therefore, successful students will only pay University fee at home fee rate. To apply for a Dialogue Society bursary, students must first receive an offer from Keele University for this degree. Roberta Ricucci. Youth Migration inItaly: a new working class? “Central planning is a failure.” “Market socialism is an oxymoron.” Is anything left? 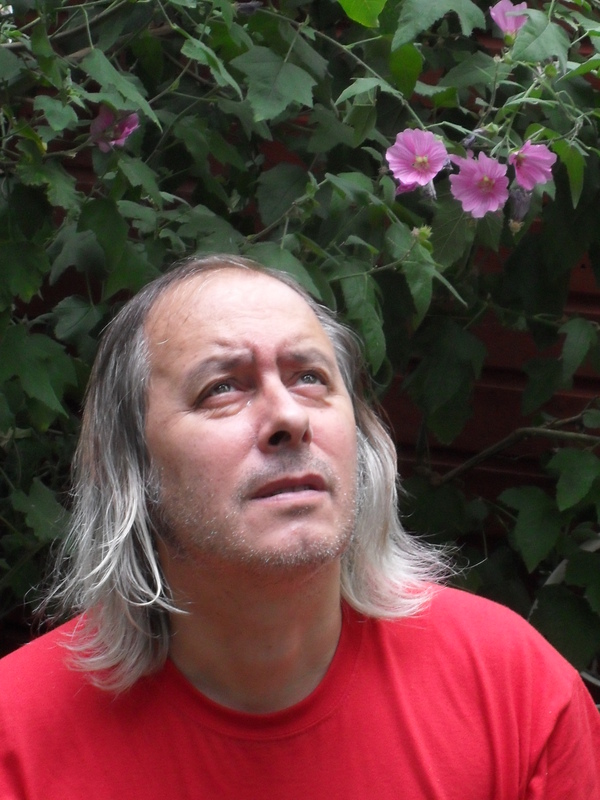 David Laibman is Editor of “Science & Society,” the world’s longest continuously published journal of Marxist scholarship. He is Professor of Economics (Emeritus) at Brooklyn College and the Graduate School, City University of New York. His recent books include: “Deep History: A Study in Social Evolution and Human Potential” (2007); and Political Economy After Economics: Scientific Method and Radical Imagination” (2012). I play an extremely small, non-speaking cameo role in this student-made film, ‘Helping You Through the Transition’, by Katie Jarvis (as part of the EDU3025 ‘Transitions for Children, Young People and Families’ module, BA Childhood & Youth, at the University of Northampton). The film is about starting university. This film is aimed at addressing various fears and issues that people may have about starting university. 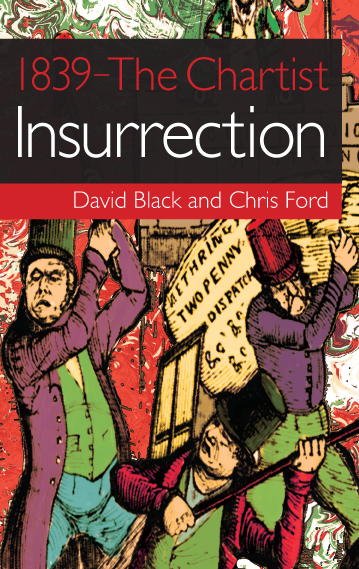 This film was first shown at the book launch for 1839: The Chartist Insurrection, by David Black and Chris Ford, on 18th May 2012 at the Workers’ Educational Association, Clifton Street, London. There is also a Foreword to the book, by John McDonnell MP. I bought a copy of the book at the launch and finished reading it about an hour ago. It’s an accessible, well-researched and exciting book. It has a narrative style which the general reader, or those with little knowledge of Chartism, should find appealing. The many illustrations and the well-crafted covers (back and front) add to its aesthetic appeal. It is especially useful for history teachers (for GCSE and above) and A-level and undergraduate history, politics and sociology students. I will be using parts of it for my History of Childhood module and a new module I aim to develop on the History of Education. This is an important book, and deserves to be widely read — Glenn Rikowski, London, 26th May 2012. Music to the film was by David Black. It was produced by Go Canny Films. This book presents some of the most trenchant critical analyses of the widespread claims for the recent emergence of a knowledge economy and the attendant need for greater lifelong learning. The book contains two sections: first, general critiques of the limits of current notions of a knowledge economy and required adult learning, in terms of historical comparisons, socio-political construction and current empirical evidence; secondly, specific challenges to presumed relations between work requirements and learning through case studies in diverse current workplaces that document richer learning processes than knowledge economy advocates intimate. Many of the leading authors in the field are represented. There are no other books to date that both critically assess the limits of the notion of the knowledge economy and examine closely the relation of workplace restructuring to lifelong learning beyond the confines of formal higher education and related educational policies. This reader provides a distinctive overview for future studies of relations between work and learning in contemporary societies beyond caricatures of the knowledge economy. The book should be of interest to students following undergraduate or postgraduate courses in most social sciences and education, business and labour studies departments, as well as to policy makers and the general public concerned about economic change and lifelong learning issues. D. W. Livingstone is Canada Research Chair in Lifelong Learning and Work and Professor Emeritus at the Ontario Institute for Studies in Education, University of Toronto. 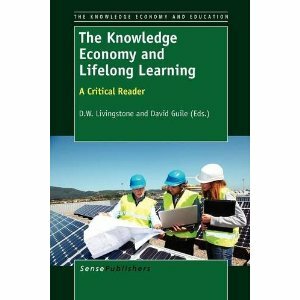 David Guile is Professor of Education and Work at the Institute of Education, University of London.